Learn more about Margaret Dziekonski on her website. 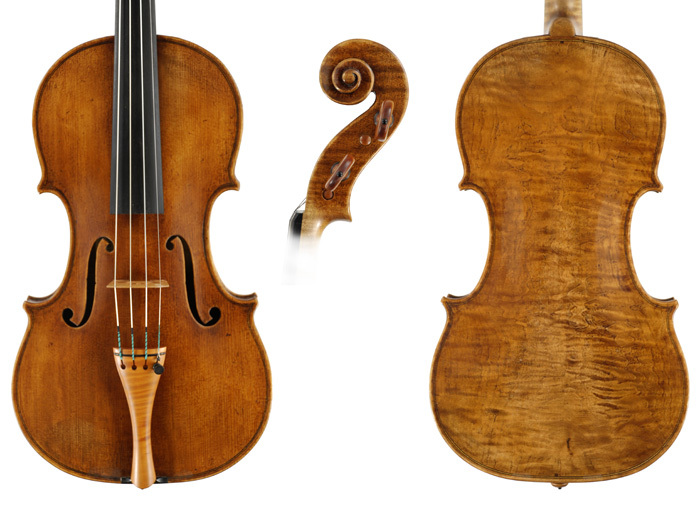 Philadelphia Orchestra violinist Amy Oshiro-Morales recently purchased this King Joseph Guarneri Del Gesu copy violin made by Christopher Germain. Amy joined the Philadelphia Orchestra in January 2008; she was previously assistant concertmaster of the Saint Louis Symphony. She also previously held the associate concertmaster chair of the Colorado Symphony and was assistant concertmaster of the Grant Park (IL) Orchestra. She has also performed as a guest musician with the New York Philharmonic. Ms. Oshiro-Morales is married to Ricardo Morales, principle clarinet of the Philadelphia Orchestra. They recently celebrated the birth of a daughter, Victoria. 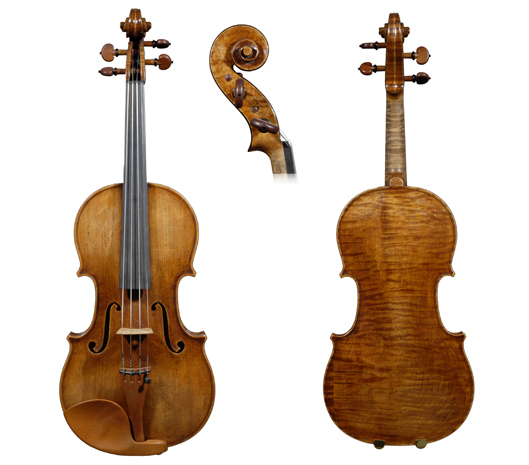 Violinist Staff Sergeant Christopher Franke of “The President’s Own” United States Marine Band recently selected this Stradivari copy violin by Christopher Germain for concert use in the Marine Corps Chamber Orchestra. . SSgt Franke began his musical instruction on violin at age 5. After graduating in 2002 from West Springfield High School, he earned his bachelor of music degree in violin performance from The Cleveland Institute of Music in Ohio in 2006. He also has pursued graduate studies at Carnegie Mellon University in Pittsburgh. His notable instructors include Cyrus Forough from Carnegie Mellon, David Updegraff from the Cleveland Institute of Music, and Lisa-Beth Lambert of the National Symphony Orchestra in Washington and the Philadelphia Orchestra.